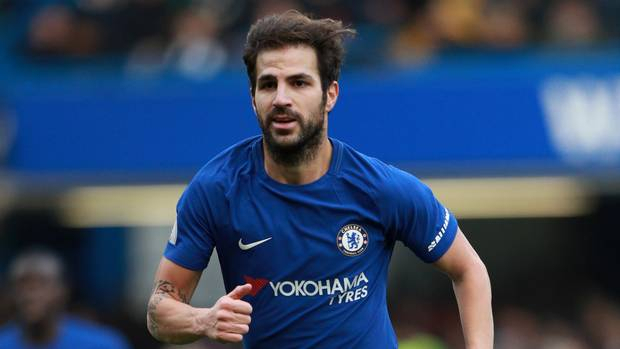 Spanish midfielder Cesc Fabregas has made a permanent move from Premier League side Chelsea to play for Ligue 1 outfit Monaco for three and a half seasons until June 2022, both clubs announced on Friday. Fabregas, 31, will reunite with his former Arsenal teammate Thierry Henry, current head coach of Monaco. Fabregas joined Arsenal at the age of 16. In eight seasons with the Gunners, he played alongside Henry before succeeding him as captain. At Barcelona between 2011 and 2014, Fabregas won four national titles as well as the 2011 FIFA Club World Cup and the 2011 European Super Cup. Fabregas played four seasons in Chelsea and reached the 500-game mark in England, adding two Premier League titles, one FA Cup and one League Cup. However, he fell out of favor in Chelsea manager Maurizio Sarri's system this season, playing for the final time in last weekend's FA Cup match against Nottingham Forest. Fabregas has also been capped 111 times for Spain, contributing to the team's 2010 World Cup and 2008 and 2012 European Championships victories. Fabregas is undoubtedly a great reinforcement for Monaco, sitting only second from bottom in Ligue 1. He is expected to make his Monaco debut in a league match against Marseille on Sunday. "It is a great pleasure to join Monaco, a new project for me. The group is of quality with young players and a young coach. "I'm here to help the team. I'm looking forward to starting. We have a great match to play in Marseille on Sunday. I am very excited," he said. For Monaco's Vice President Vadim Vasilyev, Fabregas is "a world-class player and a great professional, whose arrival demonstrates the ambition of the club". "This is obviously a very good technical reinforcement for the team but we are convinced that his experience at the highest level will bring a lot to our players on and off the field," added Vasilyev. Prior to Fabregas, Monaco had recruited defenders Naldo and Fode Ballo-Toure in this winter transfer window.